Flowfit…..is the simple way to look and feel fantastic! Flowfit will fortify your health and chisel your body quickly without equipment. It is a breakthrough exercise program…..designed to Burn fat, Build Strength and Gain Flow. More often than not the most effective approach is the simplest approach. Flowfit has all the benefits of Yoga and Tai Chi, but can be learnt in hours rather than months or years. Flowfit is not just about physique, it is about health before fitness. It is about wellbeing. This program will deliver more energy with less fuss and more fun. We invite you to take the Flowfit challenge and experience the benefits first hand. Flowfit is great for all ages and for the whole family. It requires no equipment and can be done almost anywhere, anytime. It allows you to start at the very basic level and develop your workload through sophistication over 4 levels. How will YOU benefit?....this program is the real deal and delivers what it promises. Fun-easy-effective with only 7 exercises, 14 minutes, 3 days per week. This dynamic series of exercises is easy enough for the fitness beginner and challenging for the most advanced athletes. 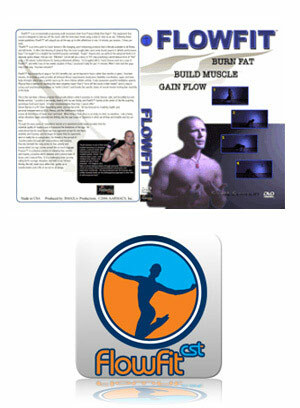 Flowfit is the introductory program of the Circular Strength Training system. Flowfit includes the critical elements of coordination, body control, agility, balance, accuracy, timing, rhythm and sensitivity. Conventional fitness trends often tend to focus on physique at the expense of your overall wellness. Flowfit goes beyond conventional fitness-it integrates breathing with movement and structure to unlock “flow-state”. Find your flow.